We’re living in a golden age of Australian Gin. From hardly any quality spirits to speak of a few years back, now we seem to have premium labels being released every few months. What’s exciting about them is that are both of a high quality and so individually distinctive. From my point of view of travelling the craft Gin landscape it struck me that there was a weak link in the spectrum of Australian Gins on offer in the market. With many full flavoured gins on offer where was the lighter and more versatile London Dry style along the lines of Hayman’s or Tanqueray or Plymouth? To be clear: I think there’s an opportunity for an Australian premium spirit that’s aiming for some restraint in its botanicals and flavour profile that gives one more flexibility and neutrality as a mixologist or home drinker. The feedback I get from fellow drinkers is whilst they like the new gins and appreciate their quality, they can’t drink too much of them for they’re so intense (perhaps a good thing) and they may be limited in their use cocktail-wise. Sometimes you just want something lighter and delicate on the palette. Now, I don’t think distillers sit back necessarily and think that way, they’re artists in many cases and are expressing themselves through Gin. So perhaps our modern Gins reflect true Aussie characters from all parts of the country. Hold that thought, I’ll come back to it. Certainly the rest of the world is starting to notice. 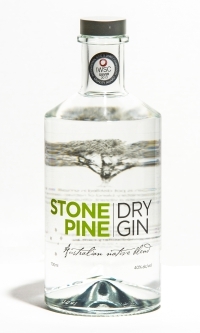 Which brings me to Stone Pine Gin from Bathurst in New South Wales. They were recently awarded a prestigious silver medal at the International Wine & Spirit Competition in London. 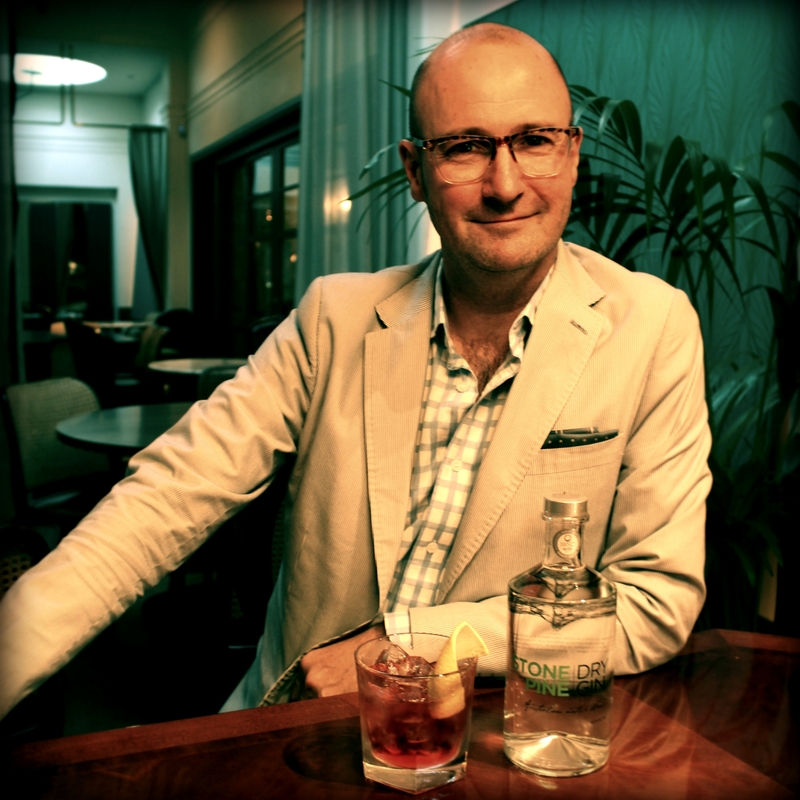 I recently had the opportunity to correspond with Ian Glen, the man behind the Gin along with his wife Bev. How did you come to be a distiller of Gin? After an initial degree in Biochemistry (boring), I then studied Brewing & Distilling in Edinburgh and haven’t looked back since. Six years in the Brewing industry, followed by six years as a Maltster, only left Distilling to go. Gin is my favourite spirit, so having decided on building a microdistillery, it was always going to be the key focus. 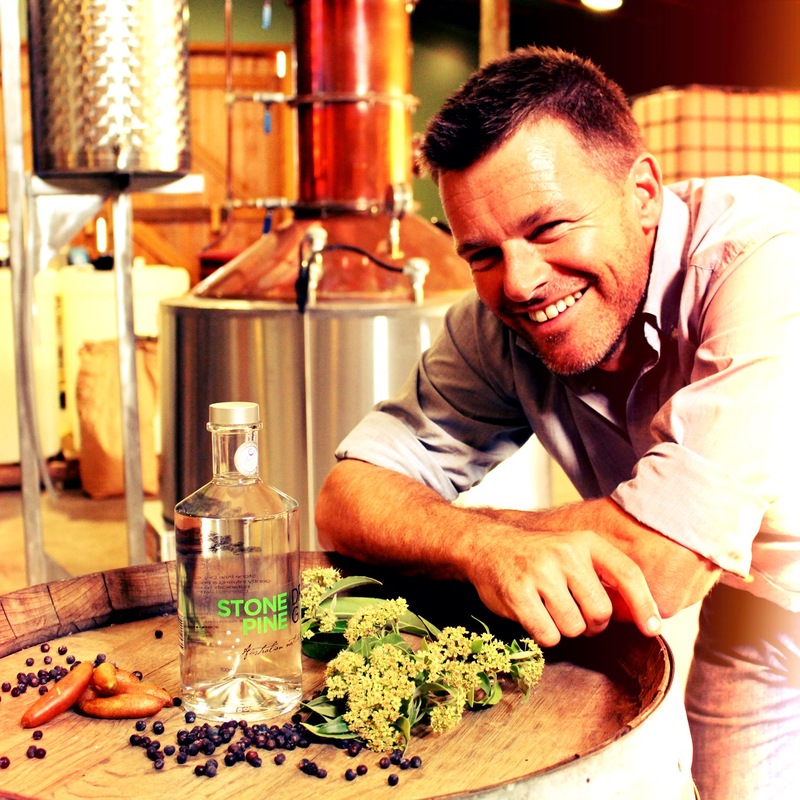 What do you make of the seeming sudden explosion of quality Aussie Gins on the market? I think it’s great! We’ve been producing Stone Pine Gin for over five years now, but the level of interest has soared in the last six months or so. I think the small bar trade has probably helped to drive this more than anything. I was first inspired to make an Aussie Gin whilst sitting in my cousin’s garden in the Scottish Borders sipping on Blackwood’s Gin, which is made on the remote Scottish island of Shetland. At this point, the idea to emigrate to Australia was already in place, and the parallel between the two remote islands gave me the inspiration to source some Australian native botanicals and do a similar thing downunder. Our place gives us our unique identity, so yes. Quality is paramount, so we will source from wherever we need to in order to meet our parameters. It’s always difficult to judge your own spirits impartially. For us, winning a Silver Medal for our Gin at the International Wine & Spirit Competition (in the super-competitive London Dry Gin 40%abv category) in London last year was a really important accolade. From what I’ve seen of the other Australian Craft Gins, we’re all using different natives, which is great, and goes to show how much scope there is out there. How do you recommend people garnish your spirit as a mixed drink or solo ? Mixology has never been my forte – I think it’s quite hard to go past lime (or finger lime if you can get it). 1. Neat, room temperature: seems to me this has a richer viscosity that some other gins I’ve tried, not a bad thing. The nose is as advertised, citrusy – more lime than lemon. You get a front palette spice kick (more than Bombay Sapphire), think lime and pepper. Whilst my survey is incomplete of all the Australian Craft Gins, is this is the first (aside from the West Winds Sabre and Cutlass) that fills that the sweet spot of a smooth drinking Gin that isn’t clamouring for your attention constantly flavour wise? Almost, but it has the makings of it. Quibbles? Well, I think that while the spirits should do the talking, the packaging isn’t doing justice to the Gin. At a recent Martini master class I let my guests sample it (they loved it) but thought the bottle came across as something they’d move past on the shelf. I’d like to see a ‘reserve’ version that takes this and refines everything its got – but as it stands, its a fine addition to your collection. This review is of an unsolicited bottle provided courtesy of Nip of Courage distributors, photos by Kathleen Davies. Oh, wow- thanks so much Anna- that’s such lovely feedback! Its not hard work with you’re passionate about the subject of course. 😉 I’ve a few more in draft, so look out for another at the end of the week…. so much interesting Australian spirits becoming available of late.